Are you planning to take any long term investment decision in near future? 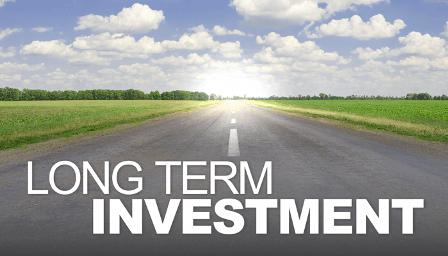 Do you know what are the long term investment options available currently? Generally when an investment is done for a period of more than 5-6 years or even more than 10-15 years, it is called as long term investment. When someone starts saving money for his/her child?s education expenses, marriage etc. that come under long term investment. One can choose from a wide range of such investment products as per risk bearing capacity. Being a long term investor has its own cons, as these types of investments need huge commitment & patience. Before you opt for the long term investment options, you should always set aside certain amount for some urgent crisis which may bring any type of financial obstacle. In this article, I will share 10 such long term investment options in India. With these you can smartly diversify your investment portfolio & grow your money further. Public Provident Fund or PPF is one of the best and secure long term investment options in India which is totally tax free. PPF account opened in any bank or post office is one of the best long term investment products. Under this, the money will be locked for a period of 15 years and earn compound interest. In addition, one can also extend the PPF account in extension of 5 years block. But less liquidity is a big negative for PPF account. You can partially withdraw your investment only at the end of 6th year. However there is an option of taking loan on the balance of PPF account. Mutual Funds investments are generally preferred by people who want to invest in equities and bonds with a balance of risk & return. In recent years, investing in stock market via Mutual fund has gained huge popularity. Many people are getting educated and want to taste the equity market. And for that, mutual funds are the best way to enter. One can invest in mutual fund for longer time by systematic investment plan (SIP) and get a much better return compared to other investment products. SIP helps to build a portfolio over a longer time horizon with small investments at regular intervals which reduces the risk of instability in the market. Do you know how to analyze a share or stock before you buy? If you can do that, then investing in direct stocks could be the best option for long term point of view. Even though investing in direct stock is risky, but if one can invest for a long term of more than 15 years, higher return is expected. It is recommended that you should not make frequent trades as you are in the market for the long run. In this way all your funds will go into commission. As an investment option, investing in equity shares is considered to bring a high level of risk associated with it. Real estate is a booming industry in India. It has huge prospects in all the major sectors like housing, commercial, manufacturing, hospitality, retail etc. As an individual investor, buying a flat or a plot could be the best decision for your investment portfolio. Real Estate is termed as the “money making industry” in the country. Real estate investments in India guarantee a return of 30% to 100% annually. But to avail that benefit, one has to do a proper research and then buy some property in such places where prices could go up to some significant level in next 5-10 years horizon. Gold is an evergreen investment product, as the liquidity is always there. One can invest in gold anytime in any format like Gold deposit scheme, Gold ETF, Gold bar, Gold mutual fund etc. In long term of more than 10-15 years point of view the return will be definitely good. In case of the Gold deposit scheme introduced in budget 2015, the investor can deposit/ invest minimum of 200 gm gold in exchange for gold bonds. The bond will hold a tariff free interest rate of 3% – 4% with a lock in period of 3 to 7 years. Gold bonds are not entitled to any kind of capital gains of tax and wealth tariff. According to the investor’s preference, the insured amount can be accrued back in terms of cash or gold. Post Office Savings Schemes are popular for their higher return. The monthly income plan of POSS is mostly suitable for retired individuals or people with regular income needs. Being a govt. savings scheme, it has very low risk. Also there is no TDS in a POSS. Post Office offers various schemes such as National Savings Certificates (NSC), National Savings Scheme (NSS), Kisan Vikas Patra, Monthly Income Scheme and Recurring Deposit Scheme. Among them, NSC for 10 years is a good post office investment option with a guaranteed return amount. In case you don?t want to take risk and the investment period is of 10 years, then NSC can provide a decent return on investment. Company FDs are preferred over bank FDs for their higher interest rates. Corporate FDs are instruments used by companies to borrow money from small investors. You need to select the investment period carefully as the money cannot be withdrawn before maturity. Unlike bank FDs, The corporate fixed deposit schemes are not covered under any Insurance benefit. These instruments are not governed by the Reserve Bank of India. So Company FDs are mostly suitable for those long term investors who can bear some amount of risk. Read: Why not to Invest in Bank Fixed Deposits? Initial Public Offerings or IPOs are often presented as “Once in a Lifetime” opportunities as they happen only once for every company. IPOs are very attractive, if launched by a reputed company. IPOs are little different from the average stocks as they have many unique risks associated with them. The uncertainties associated with IPOs are mainly because of the lack of available information. To make a wise investment decision, try to learn as much as you can about the company. Generally most companies want long-term investors who will hold their stock. In such a case one can put some money for a longer period of time and get benefited. Unit linked insurance plans or ULIPs invest in equities and debt markets. The ups and downs are captured by the net asset value (NAV). Although ULIPs are not recommended product due to the various charges, but if you are investing for a long period of time then ULIP can also give a decent return of 7-8% on investments. Besides that, one can also get income tax exemption on investment as well; means the net yield will be much higher. ULIPs offer tax benefits under Section 80C. Maximum Rs 1.5 lakhs of deduction can be claimed under this. Also the redemption proceeds are tax-free under Section 10(D). If you are not comfortable with mutual fund or direct equity market investments, then investing in bonds could be a good options. There are many good bonds which actually give a decent return in long term. You may opt for Govt. 10 year bond which is currently giving an interest rate of 7.70%. As the govt. sets the interest rates on bonds based on the inflation, you may also go for Inflation Indexed bonds. Though past performance of any product is not always a guarantee for their future performance, then also it is advised to buy any investment product which has a good track record over last few years and which charges low management fees. To diversify your investment portfolio, try to distribute your risk in various stocks, mutual funds, bonds & debentures and other different instruments. It is advised that, you should not invest more than 10% in any of your investment plan of your portfolio. In this way, you will remain protected if any of the particular sectors collapses. Share your experience & thoughts if you have invested in any of the above mentioned long term investment options. This post is written by Mr.Santanu Debnath of MyDailyLfeTips, a multi-niche blog. It’s a shame you don’t have a donate button! I’d definitely donate to this fantastic blog! I suppose for now i’ll settle for book-marking and adding your RSS feed to my Google account. I look forward to brand new updates and will talk about this site with my Facebook group. Talk soon! Hi, I am a 43 year old man looking for your valuable advice regarding my portfolio & investments. I have started 20k SIP 7 months back & increased it to 30k from this month only. I am planning to invest around 20Lacs Lumsum amount in different schemes. Need you to please help me to identify where should i invest. My preferred areas would be ? Also please let me know if i can go for equity large cap STP through ultra short term fund, i am little apprehensive as i already have sufficient exposure in equity through SIP. My time horizon is 4 years for partial amount 8 to 10 years for rest of the amount. Saw your post, can you please elaborate more on why you are investing in SIP, by asking you this I mean what is the goal, are you investing this fund for you retirement, for education of your children or marriage of children. The products which you mentioned are good diversification but to select which best suits you is more dependent on the period you want to stay invested, the purpose of your investment. Investing in Mutual funds is finally catching on in India. Mutual funds are perceived as risky however they are regulated by SEBI and if one chooses wisely then it is possible to gain big returns from this investment mechanism. They can yield much higher returns than other traditional investment options. I am 30 Years of age unmarried living in Pune and earning 65000 per month take home salary (including EPF deduction). I plan to invest 15000 in monthly SIP as of now which will be increased every year. My investment horizon is 22-25 Years. My expenses per month are around 35K including rent. My goals and amount needed for them are as below. All amounts are inflation adjusted. 1. Child education and marriage at around 15 Years – 50 Lakhs. 2. Retirement at around 55 Years – 2 Crores plus. 3. Home in about 10 Years from now – 25 Lakhs. 4. Car in 5 Years – 5 lakhs (rest will be used from Car loan; Total Value of car 7 Lakhs). 5. Mid term goals like family vacations, home/furniture upgrade etc – 2 Lakhs in every 3-4 years. **Apart from this, I have my sisters marriage in about 18 months from now for which I need to accumulate 1.5 Lakhs minimum. I can invest 8000 Monthly over and above my portfolio specially for this. 6. EPF of 2200 per month will be used for retirement and cover a part of my debt portfolio for retirement. Axis Long Term Equity (ELSS) 3500 Per month. 1. Is the current choice of funds in line with my goals. 2. I plan to use balanced funds for any of my medium term goals which is of 4-5 years and ELSS for Child education and marriage. Is this correct ? 4. Should I go for direct plans right away or should I place a switch to direct after 1 year when I complete in regular plan. I can track direct plan portfolio using external tools available like on VRO. I think I can do that. 5. Could you please guide me for any debt/income/short term plan for my sisters marriage – I can invest 8000 Monthly over and above my portfolio specially for this. Need some tax effecient and low risk option. This amount is critical. 6. How good are these funds for 20+ years, Basically I want to know whether such funds would continue for these long years keeping in mind we have some merged funds, closed funds over long term. YES YOU ARE INVESTING RIGHT. I am sagar from indore mp I am very confused between mutual funds and ulip investment can you give me advice about this? As now govt reducing interest rate on small savings like FD,PPF, sukanya smridhi etc & also property is not rising sharply further chances are their inflation rate will come down in india & 7th pay commission will be implement by mid of 2016 so chances are more fund flow comes into equity for better return, is it impact on return of equity? This is a great Post and I?m glad that you shared these ideas. Santanu, you are right on target about equity investment. Check out http://www.investingfunda.com/a-beautiful-view-sensex-stock-market-returns-over-the-long-term/ for a chart that proves that. Thanks Sanyam for publishing my article.